By road journey from Islamabad or Rawalpindi to Gilgit and Skardu is one of the adventurous and enjoyable journeys of the world, because departing from Islamabad to Skardu or Gilgit the vehicles pass from scenic wonderlands and panoramic valleys i.e almost all the beautiful places of the KPK. There are two routes to reach Gilgit-Baltistan from Islamabad or Rawalpindi. One is directly through KKH (Karakorum Highway) which is named as N35. If you follow this route you will see the beautiful places of KPK like Mansehra, Abbottabad, Batgram, Chatarplane, Patan, and Bisham etc. Another way is same from Islamabad to Mansehra city of KPK but from here it follows the national highway named as N15. If you follow this route that also meets to KKH at Chilas District of Gilgit-Baltistan, you will see the most beautiful and panoramic places of Pakistan i.e. Naran and Kaghan valley and Babusar Top of Gilgit-Baltistan. You can see the map below to understand the route better. You will never forget the journey and will be proud of it which you have made through worlds highest road network, KKH (Karakoram Highway) passing through worlds three mightiest ranges of mountains (The Himalayas emerging from India and Nepal, the Karakorum from north Pakistan and Hindukush from Afghanistan). Departing from Islamabad or Rawalpindi the more you cover the distance the more you will be going higher and higher towards the land of Peaks. It takes about 4 or four and half hours to reach Mansehra and vehicle, whatever you have chosen, will make a stop for tea or meal depending upon the time of departure. After that, passing through green carpeted lands of KPK you will reach the Besham City. Here the vehicles will make a stop for meal or tea. From here the KKH will be following every twist and turn of the Indus River. Now passing through Kohistan, the last district of KPK, you will be hugged by the Peaks of Gilgit-Baltistan. Entering the Diamer District you will reach at district headquarter, Chilas. Mostly the vehicles depart late noon, in that case, you will be in Chilas for breakfast but if you have left Islamabad before noon you will be at Jougloat for breakfast. After departing from here you will reach a junction separating ways of Gilgit and Skardu. If you are going to Gilgit it will take about a half an hour to reach Gilgit city from this junction. But if you are determined to go to Skardu you will have to cover 200 km more. It will take about four to five hours to reach Skardu. On the way towards Skardu, the vehicle will make a stop for lunch at PTDC motel Stak Valley which will be the last tea or meal. 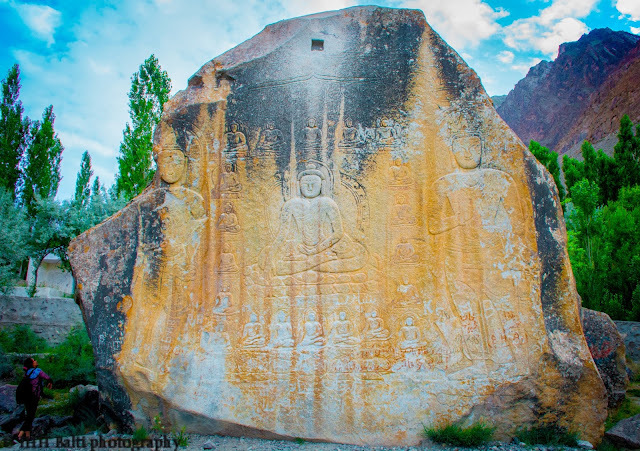 Now, after 2 and half hours, you will reach Skardu city and will be enjoying the beautiful weather and places of Skardu. If you are interested in going to Hunza, there are two ways to reach there. First is, if you buy a direct ticket, the vehicle will carry you directly to Hunza passing through Gilgit city. Second is, if you buy a ticket for Gilgit city the vehicle will make last stop at the Gilgit city and from here you can go there by yourself which is about one and a half to two hours drive from the Gilgit city. 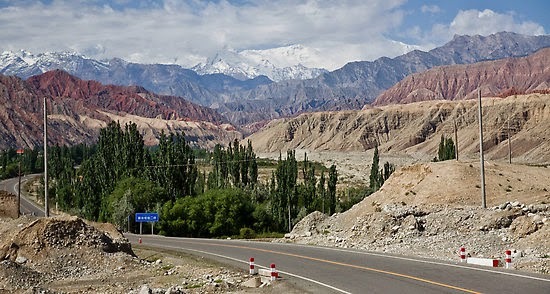 The way to Hunza is same as to Gilgit i.e vehicle passing through Gilgit reaches Hunza. How long does it take to reach Gilgit and Skardu from Islamabad? Mostly people ask this question, so here is the answer. For Gilgit, it takes 16-18 hours and for Skardu, it takes 22-24 hours in normal traffic and if there hasn't been any temporary blockade. Nowadays the Karakoram Highway is under maintenance and the work from the China border to the periphery of Chilas city has been completed. Therefore travel time from Chilas city to the Gilgit city has been reduced as compare to the earlier times. But the condition of KKH from Chilas city to the Bisham city of KPK is not satisfactory. Also, the Gilgit-Skardu road is in a dilapidated condition and there are talks of reconstruction of the road. Once you are in Gilgit and Skardu you can visit other cities as well from these two, these two cities are accessible via by air travel as well. From Gilgit, you can visit all cities of Gilgit-Baltistan in different directions. It will take 5 hours for Skardu, about 2 hours for Hunza and Nagar, 2 hours for Ghizer and about 3-4 hours for Astore and Chilas. If you want a comfortable, easier and enjoyable journey then the By Air journey is the best and the favorable one for visiting the Gilgit-Baltistan region. You can land either in Gilgit or Skardu, the choice is yours. To know about the by air journey in detail just click on the link and know every detail you need to know in advance. There is no shortage of transport agencies. You will have your own choice of vehicle. Also, you may take rental vehicles for private use to reach Gilgit or Skardu. For more information, you can visit Stations and Terminals. i want to go hunza and skardu this eid from bike i can b easy for me. Sir tell me the per-head of this tour.. ??? Salam all. I plan to reach chitral by air. From there take a road trip to gilgit. And from gilgit take a flight back to isl. I asked the local transporters for the rate and they gave rates as high as 32000 fr a willys jeep. And 45000 for a land cruiser. Is there any other way i can travel from chitral to gilgit which is more econimical for me. Has anyone used natco from chitral to gilgit. Im not sure how safe and enjoyable that will be.. Please comment and help. AA Mr Iqbal. I had travelled from Gilgit to Chitral thru Shandoor Pass in July 1999 on a 4x4 Jeep. It was my life's best journey and saw magnificient vallies like Gahgoch, Gopis, Khaltiya, Teru, Phandar, Shandoor, Sorlaspur, Maustoj and Booni on this road. It is about 405 K.M (GILGIT to Chitral). I had covered this way in 28 hours with a night stay at Sorlaspur. At that time, it was only 72 KM out of 405 KM from Booni to Chitral was solid road and rest was jeapable. Now, FWO has already made it solid from Gilgit to Teru. However, it is still in raw shape from onward Teru to Mastuj. At that time i.e. in 1999 i traveled as a single passenger and they charged PKR 450/= now, most probably, it would be pretty high. There is no need to exclusively hire jeep which is immensely costly as elaborated by you up there. You may visit the local bus stand of Chitral and inquire about the jeep service from Chitral to Gilgit and about single passenger fare. You may not tell him about the size of travel group which obviously change in fare by them. I would always be happy in case if u need anything else would like to know from me. I want to go to Hunza on 1300 cc auto-transmission car with my family. Can I go? Please advise. You cannot go there with your auto transmission car due to sleep slopes and sharp turns. 4x4 is highly recommended. In December, can we go Gilgit by road. If yes then where else I can cover/go from Gilgit? yes afcorse.. u go but u travel with best car.. I want to know is it safe travelling go gilgit skardu alongwith with children and are the roads safe to travel? Helloo guys.. Hope everyone is doing great... Just wanted to ask im planning to make a trip to gilgit by road on a cruiser wid my cousin. Is it safe to travel by road? Ive been to gilgit, hunza back in 2007 and it was ok that time. I mean the road was ok but not 100% but it was safe. Now is it safe to travel by road even at nights or just day time??? Is it safe to go to Gilgit by road in the month of January start days.? And is it safe to go in January to Gilgit? Is there any risk of heavy snowfall or landsliding? Hi, I am planning to go to the northern areas with my family on our car end of May 2016. I need your favor where to stay and which route we will follow. i ve recently travelled from islamabad to gilgit and back. on rent a car from pindi it takes 18 hrs includes stays for meals and tea. May be on jeep or vigo it would reach in 15 hrs. the road is good till Dasu but from dasu to shatial it is in bad condition (around 55 Km). on ward better till gilgit and hunza valley till sost. Great travelling. One suggestaion that try to travel in day light up ward. it would be great fun. Do you know any car/jeep service which is on passenger basis as i will be traveling alone? and also recommend some hotels in Hunza or beyond like in gulmit/passu or sust. Could a honda 125cc motorbike go to hunza from rawalpindi? YES BRO .. BUT ONE HONDA only for one person with his full equipment. Pls any one tell me its journey possible via Car....? And roads are helpful drive car...? yes brother you can go and inshallah you will enjoy but if you follow some requirements are given bellow..
must 1300cc on petrol system. Roads are very comfortable there is no any thread about security. Totally areas handled by Pak Army. Google earth view missed some beautiful places where the travelers can visit there by road.The smart college writing on the various types of places i the Pakistan.Would you please tell about the security of visiting those places? There is Army alert areas you can go with your family too because there is no any security issue. Hello, how safe is it these days for a Westerner to travel by public transport (bus) from Islamabad to Gilgit ? Is it possible to hire a driver to take me to Gilgit ? Would that be a safer option and if so, how much would one have to pay for such a service ? You go easily with your driver a minimum 1300cc car on petrol excellent condition. The roads are very comfortable till khunjrab paa. What is the current price for public bus from islamabad to gilgit? can Indians go to gilgit and skardu? Can suzuki mehran 2015 model reach gilgit? yes, You reach with Mehran 2015 Car is must on petrol system if you have strong Two drivers at Gilgit point and Khunjrab pass only with 4 person. Suzuki cultus can go through KKH. Suzuki Tabaa is much better then cultus. And if you go with Suzuki Tabaa it is very important tabaa on Petrol. we are planning to visit to Hunza till Skardu in my Aqua car , we are 2 adults and 2 kids , is the journey safe , route are and roads are ok ? further where to stay and which route we should use , any expert comments would be highly appreciated . we are planning to visit to Gilgit & Skardu in my Corolla 1.6 automatic , we are 2 adults and 2 kids , is the journey safe , route are and roads are ok ? further where to stay and which route we should use , any expert comments would be highly appreciated . I recently came back from Gilgit, Hunza, Khunjrab, Skardu 12 days tour. There are two routes to go to Gilgit. One is through Abbottabad and Besham via KKH and other through Abbottabad and Naran via Babusar Pass. The second route is shorter and the road condition is excellent except an 60 KM patch from Chillas to Raikot bridge. Hunza id about 100 KM ahead from gilgit via KKH and the road till Khunjrab Pass is excellent. For Skardu, you need to deroute 20 KM short of Gilgit and 5KM after Juglot. The road condition is very bad but I have seen all type of cars are moving on this road. It is 200 KM and take about 7 hours from Gilgit to Skardu. Dear Mahmood khan, if we Stat our journey from Islamabad to Khujrab.please guide stay points. It takes about 7 Hours to reach Naran so first place is Naran to stay. Second point can be Hunza or Gilgit. From Hunza it will take about 4.5 Hours (One Side). FRom Gilgit it will take about 6.5 Hours (one side). It is better to stay at Hunza. WE ARE PLAINING TO GO TO KAGHAN NARAN CHILLAS GILGIT HUNZA SKARDU KHUNJRAB ATAABAD LAKE..CAN U PLEASE BRIRF ME THE ROUT THE INFORMATION U HAVE PROVIDED ARE MORE THAN ENOUGH BUT STILL WANNA KNOW THE NIGHT STAY HOTELS ANY ARMY GUEST HOUSES THERE..
Best places to stay are Gilgit, Hunza and Skardu. Army Guest houses are available at Skardu but u will be lucky to get it. One is on Shangilla Lake (FWO). Kaghan, Naran, Babusar, Chillas Gilgit Hunza and Khunjrab are on one route. Skardu is on different route which is 20 KM short of Gilgit. Is it suitable to travel sakrdu ,khujrab pass in September's 2nd week ?? I think there should be no problem during this time. Assalamau Allaikum, Kindly tell me that 660CC Japnese car is suitable for Hunza and Khunjarab Pass? Shahab Ahmed yes it is. People use cars on daily basis for travel to Gilgit, Skardu and Hunza. 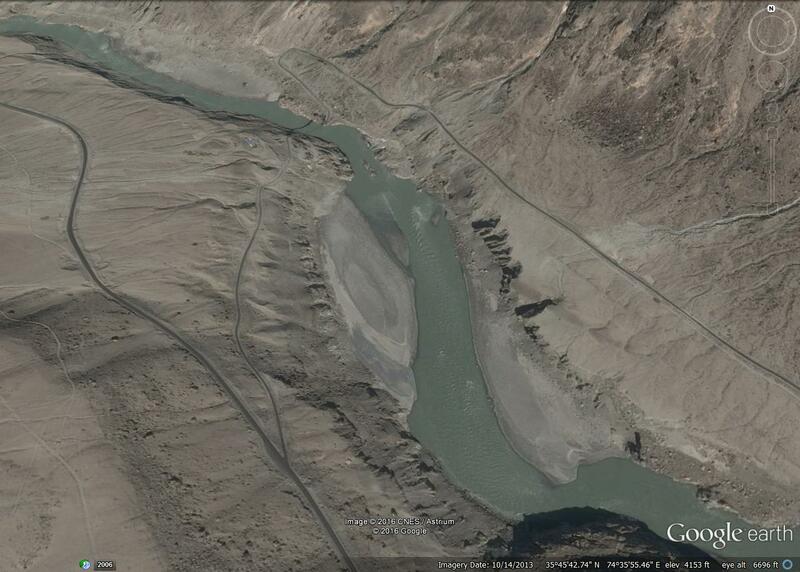 KKH now is well maintained, except a fraction in Chilas area, so you don't need to be worried. There are two ways as explained above, KKH and Babusar Pass road. KKH remains open all over the year because KKH doesn't receive that much snow even in winter. Another road which passes through Naran, Kaghan and Babusar Pass will not be open in March, because heavy snowfall is observed along this road. So KKH will be a better option. On route to China border, What section of KKH is above 11000 ft? What is the likelihood of getting altitude sickness around Khunjrab pass? 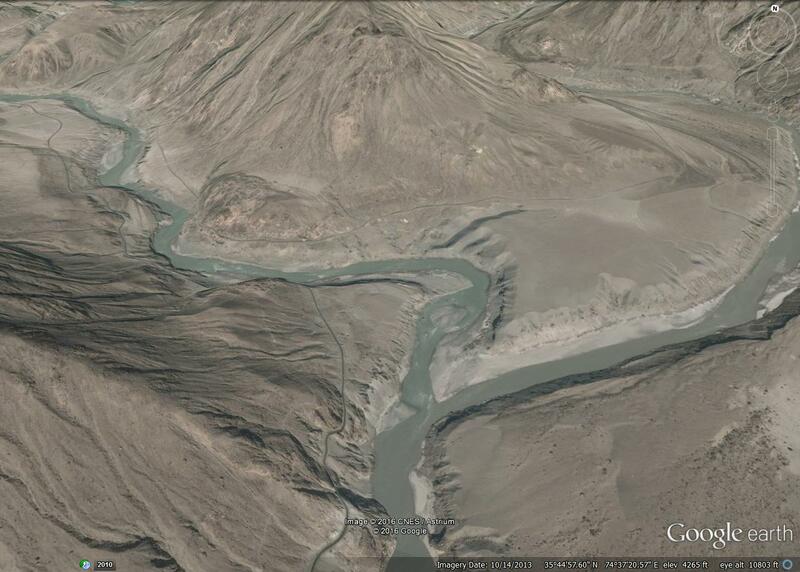 which one is safe route , kkh highway or n15 if me travel on bikes ? and what condition will make us to stop going towards? Can someone tell me please, about security of chilas, is it safe to travel through chilas to gilgit?